It sounds like a brand of orange juice… and its community edition is written in C++, but actually ArangoDB is a native multi-model database. 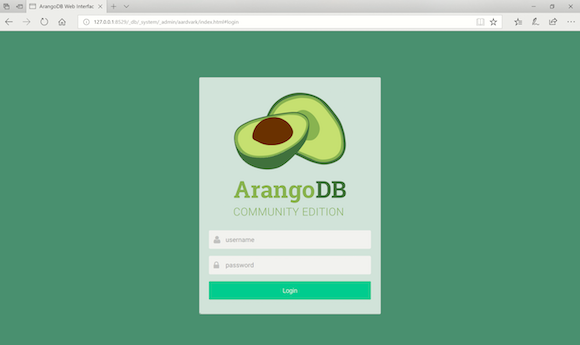 ArangoDB Community Edition is available under open-source license… but news this week focuses on the release of core version 3.4 as a transactional database for developers. The software engineering play here is a means of interacting with ‘multiple data models’ by using one technology and one query language. Enhancements in ArangoDB 3.4 include ArangoSearch, a feature which changes ArangoDB, when combined with traversals or joins in the database’s own query language AQL, from a ‘data’ retrieval to an ‘information’ retrieval tool. But what is a multi-model database anyway? As explained by TechTarget, a multi model database is a data processing platform with greater scope to define the parameters for how the information in a database is organised and arranged — being able to incorporate multiple models into a single database lets users meet various application requirements without needing to deploy different database systems. So… basically, more juice from a single space, right? ArangoSearch combines Boolean and generalised ranking retrieval models (e.g. vector space model). It consists of two components – a search engine and an integration layer. The former is responsible for managing the index, querying and scoring, whereas the latter provides search capabilities for the end user in a convenient way. Its makers state that ArangoSearch can be combined with all three data models in ArangoDB. If used in conjunction with graph database capabilities, search results could be used, for example, to enhance fraud protection, individualise recommendations or simplify precision medicine. Users can now perform relevance-based matching, phrase and prefix matching, search with complex Boolean expressions, query time relevance tuning and combine complex traversals, geo-queries, and other access patterns with information retrieval techniques. ArangoDB 3.4 also includes full support for GeoJSON, an open standard format designed for representing simple geographical features, along with their non-spatial attributes. The support encompasses all geo primitives, including multi-polygons or multi-line strings. Orange juice silliness aside… it appears from Arango’s livery and logos that there’s more of an avocado association.